While talking to the press yesterday Chelsea manager Jose Mourinho insisted that his grumpy persona was not going to change, and that when he is away from the pitch he gets no respect. This follows on from a video that was taken this week of the Portuguese manager jostling a young fan who had been following him for 20 minutes near his home while making a private phone call. The club issued a statement about the incident yesterday describing it as an attempt to incite the Blues boss calling it “overly intrusive” and “beyond the bounds of reasonable behaviour”. 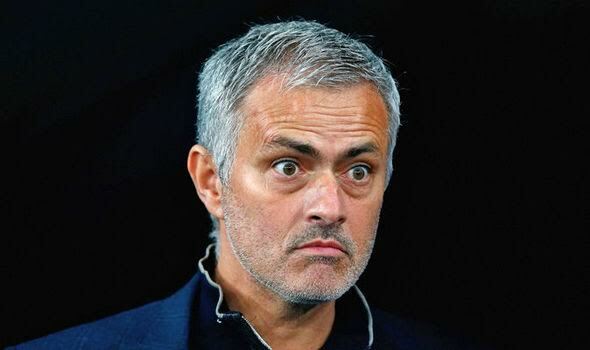 Then when an attempt to lighten the mood was made by asking about the South Africa rugby team’s visit to Cobham, Mourinho snapped: “You don’t get from me good and funny headlines. “I’m going to treat your bosses the same way they treat me: no respect, no respect. With questions surrounding the professionalism of his players being brought up, Mourinho is hoping that some home truths have been learned as the Blues prepare for their match against West Ham this afternoon. “We analyse the matches, show important videos of important moments of the game where they can feel exactly the difference between defending with 10 or defending with nine or eight,” Mourinho said. “We are accumulating examples of that. Clearly they know that. In case you missed here is the video of Mourinho shoving the young fan.